- A fairly large community for those who enjoy art house, foreign, obscure and older/rarer content with both movies and TV episodes/seasons on offer. 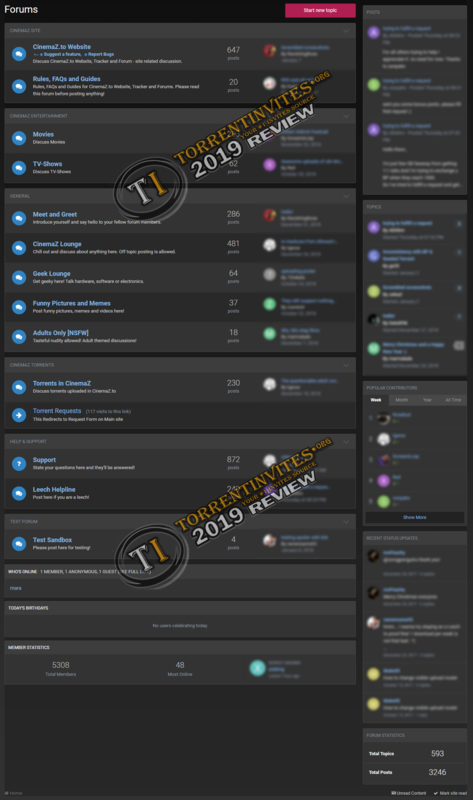 - I think this community is a great alternative to other trackers like Cinematik, KaraGarga etc.. All have their pros and cons but this tracker should fulfill your needs for the time being. - CinemaZ is a sister site of AnimeTorrents, AvistaZ, ExoticaZ and PrivateHD. Signups to CinemaZ are by either application and/or invite.. being a member of a sister site will boost your chances of joining here. - Tracker stats show 20,644 registered members, 16,031 movies and 1,355 TV shows. - Downloading, seeding and building ratio is easy with their featured torrents and great number of seeders for most torrents. - CinemaZ offers an IRC channel and forums. The forums require a separate signup to the tracker. They do not have a shoutbox. 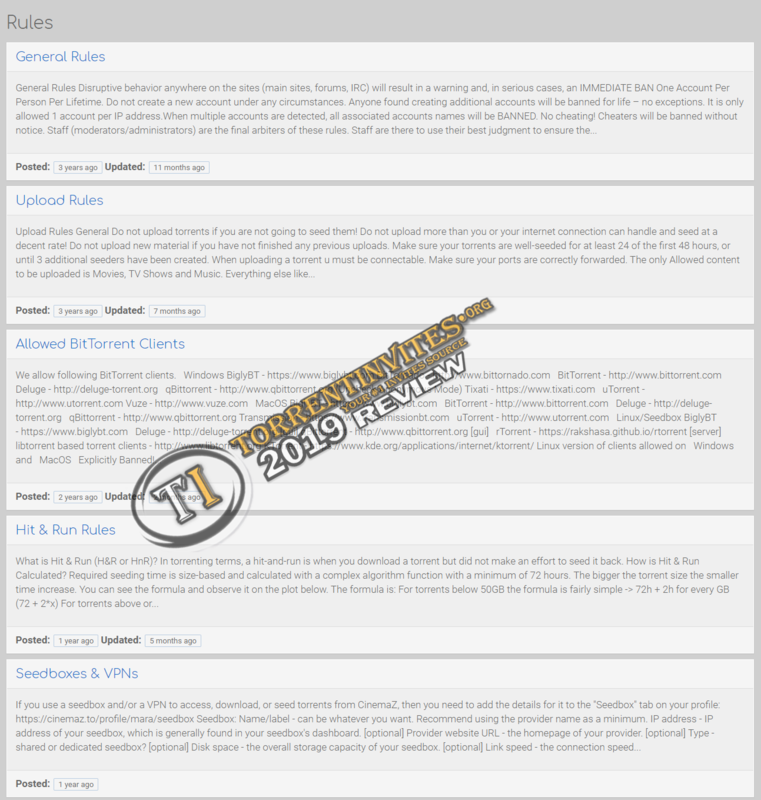 - A bonus system is also offered where you can earn extra points for seeding old, big and huge torrents. Spend your points on invites, upload credit or gift them to a friend. 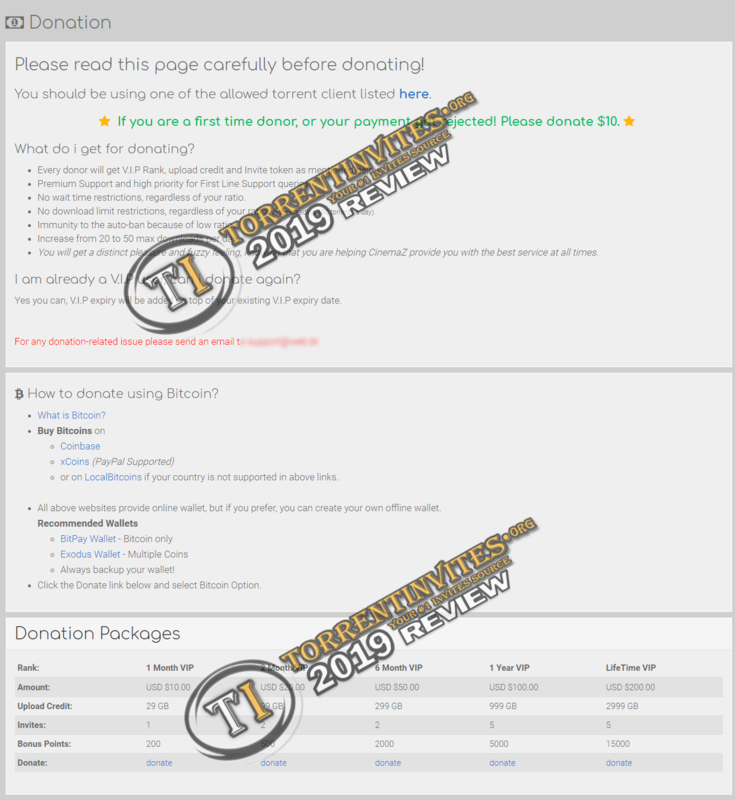 - Donations begin at $10 USD and come with upload credit, invites, VIP and bonus points. The most expensive donation package costs $200 and will give you lifetime VIP. Members may donate via card or bitcoin (preferred).